Let’s face it, there are two continents every serious bartender wants to work in: London and New York. Which is where Auchentoshan Lowland Single Malt Scotch Whisky comes in. Like the fairy godmother you never thought existed its annual competition waves its wand and makes the magic happen. That’s right. If you’ve always dreamed of working behind one of the best bars in London or New York here’s your chance. 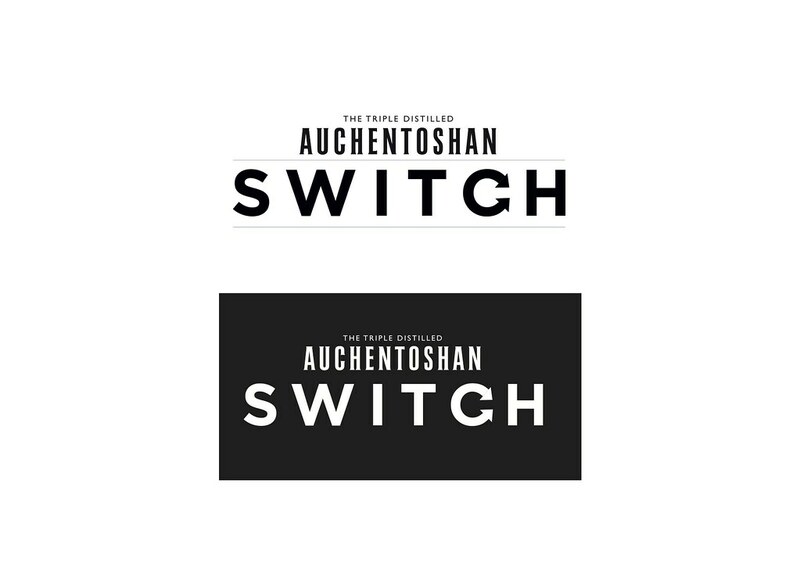 Auchentoshan Switch is back for a third year and once again, one bartender from north America and one from Europe will get to make an all-expenses paid, opportunity of a lifetime ‘Switch’ working in Mr Fogg’s in London or Employee’s Only in New York bar for two, yes two whole weeks. 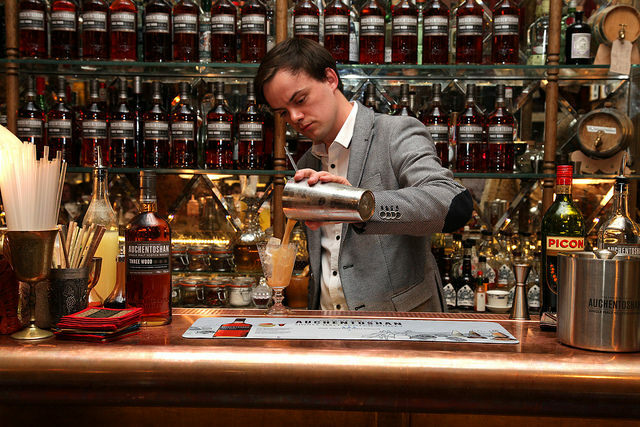 The competition is open to all bartenders in the UK and Europe as well as the US and Canada. Last year Aidan Bowie (pictured above) from Blythswood Square Hotel in Glasgow worked behind the stick at Dead Rabbit Grocery & Grog in New York, while Michael Webster from Bar Isabel in Toronto headed to London to work with Marian Beke and the team at Night Jar. Who’s up for the ‘Switch’? last minute, who needs the stress? ), and cross your fingers. 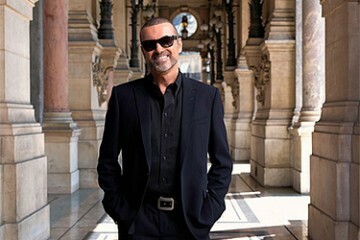 face on now. Upload your entries here. twice but three times to produce an immensely smooth spirit. Pedro Ximenez Sherry casks, a wood famed for drama and darkness. 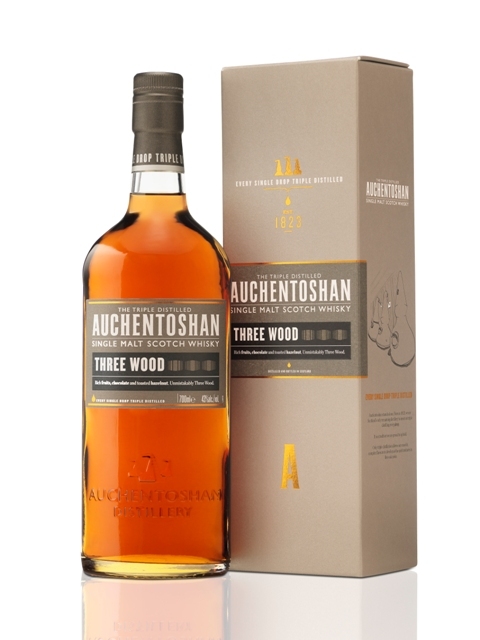 The Auchentoshan Distillery has plenty of experience in triple distilled whisky – it’s been producing it since the distillery was established in 1823. Located in the Lowland region of Scotland, on the outskirts of Glasgow, it’s the city’s only distillery.